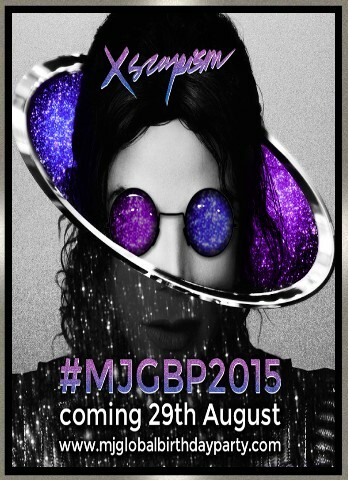 The FREE ONLINE GLOBAL MJ BIRTHDAY PARTY is a GLOBAL collaboration between these fan made MJ groups. 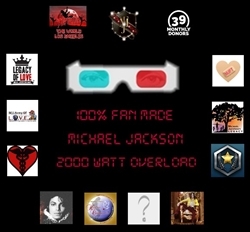 The FREE ONLINE GLOBAL MJ BIRTHDAY PARTY is a way fans will be able to participate in a GLOBAL live video and music feed event, celebrating the birth of legendary King Of Pop and Humanitarian, Michael Jackson. 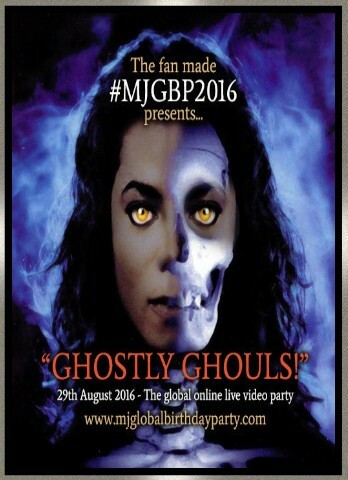 If you are not joining us live for the party and want to send in your pre-recorded video messages to Michael for his birthday, please contact us for details on how you can get your videos played on the ‪#‎MJGBP2013‬! 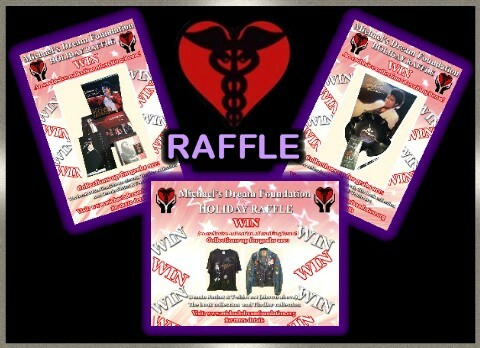 As we head towards the 2013 Holiday Season, we at Michael's Dream Foundation have thrown together some exciting prize packs for our 2013 Holiday Season Raffle! From 17 October until 1 December, you could be in with a chance of winning one of these fantastic prizes every time you make a donation of $20 via our website. On Monday 2 December, the winners will be drawn at random via a live webcam feed from the UK, which means you will be able to watch real-time to see if your name is drawn! and the very best of luck! 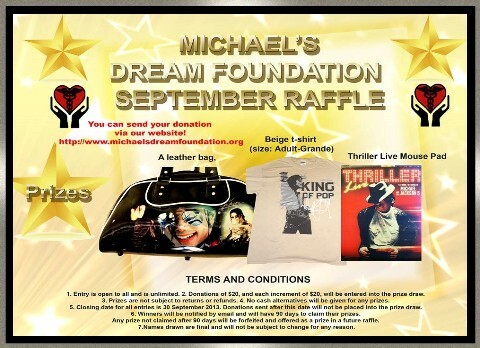 Michael’s Dream Foundation is giving you the opportunity to win one of three fantastic prizes in our September Fund-Raising Raffle! Whenever you make a donation of $20 or more (and for each $20 increment), your name will be automatically entered into our Raffle Prize Draw for a chance to win one of these prizes! Closing date for entries is 30th September, so hurry and send your donation using the "Make a Donation" link above for your chance to win! 1. Entry is open to all and is unlimited. 2. Donations of $20, and each increment of $20, will be entered into the prize draw. 3. Prizes are not subject to returns or refunds. 4. No cash alternatives will be given for any prizes. 5. Closing date for all entries is 30 September 2013. Donations sent after this date will not be placed into the prize draw. 6. Winners will be notified by email and will have 90 days to claim their prizes. Any prize not claimed after 90 days will be forfeited and offered as a prize in a future raffle. 7. Names drawn are final and will not be subject to change for any reason. Question: If I send a $40 donation, does that enter me into the raffle drawing twice? Answer: YES. Each $20 increment sent by the same donor is considered an entry. A donation of $100 would enter the donors name 5 times! Question: For what purpose are these donations being used? Answer: All donations during the September Raffle campaign will be used in various ways to help reach the community's goal of building a children's hospital. Some may go towards the purchase of a much needed accounting software solution for the foundation; some may go to required legal and professional services and some will also go into a hospital fund which has been set aside to start raising funds for the hospital itself. 5. Closing date for all entries is 30 September 2013. Donations sent after this date will not be placed into the prize draw. 6. Winners will be notified by email and will have 90 days to claim their prizes. Any prize not claimed after 90 days will be forfeited and offered as a prize in a future raffle. If I send a $40 donation, does that enter me into the raffle drawing twice? Each $20 increment sent by the same donor is considered an entry. A donation of $100 would enter the donors name 5 times! For what purpose are these donations being used? All donations during the September Raffle campaign will be used in various ways to help reach the community's goal of building a children's hospital. Most of you by now will have either heard, or heard of, Michael’s recording played during the prosecution's opening in the Conrad Murray trial. Most of you will have also picked up on the fact that even under the heavy influence of drugs, his first thought was for others as he described his desire to build a hospital for children. Having listened to his heart-wrenching words, we, the fans, would like to make that dream of his come true. 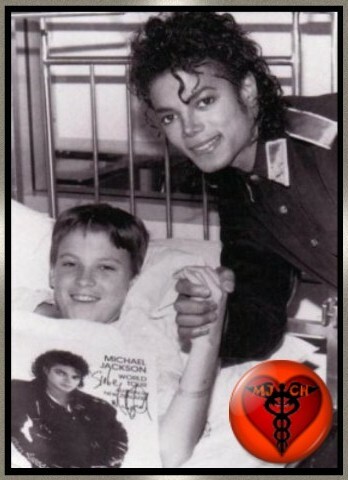 Ich könnte mir sehr gut Michaels "NEVERLAND RANCH" dafür vorstellen, ein Krankenhaus muss nicht immer ein Kasten sein - ein Krankenhaus kann es auch in Dorfform geben - die Ranch wäre gross genug um dort auch weitere Häuser zu bauen und es wäre ein perfekter Erholungsort für die Kinder - ich denke das wäre auch in Michaels Sinne, seine Ranch umzufunktionieren um dort kranken Kindern zu helfen.